Texas Multi-Chem honored Galen Davidson, Head Groundskeeper at Burnet CISD, for his outstanding work in maintaining the best 3A baseball and softball fields in Texas. 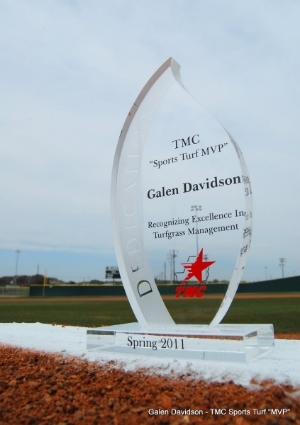 Recognizing excellence in turfgrass management, Galen has received the highly coveted TMC Sports Turf "MVP" Award. 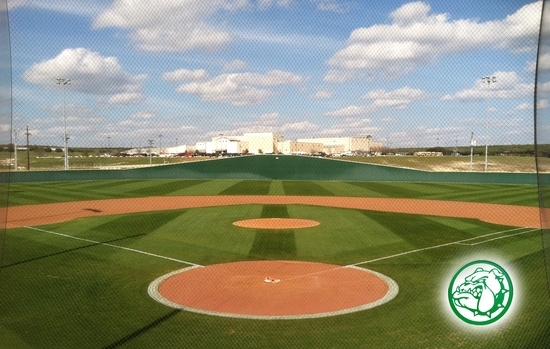 After TMC completed the new softball and baseball field construction for Burnet CISD in the spring of 2009, Galen Davidson took over the care and maintenance of the new facility. Today Galen successfully manages two of the most visually appealing and high performance high school baseball and softball fields in Texas. Irrigation Schedule: Twice per week for approximately 20 minutes per station. Galen carefully monitors the amount of water his fields need, looking for signs of over saturation and modifying the watering duration accordingly. Mowing: Using a Toro 3-gang Triplex series reel mower, Galen mows his fields three times per week at a height of 7/8". Most of the spring baseball season in central Texas is played on rye grass. As part of it's yearly Turf Care Program, TMC plants its Super Sport custom blended perennial rye grass on both the baseball and softball fields. Infield Maintenance: The Burnet baseball and softball coaching staff help out by dragging the infield skinned areas regularly. Galen helps ensure the proper dragging and raking techniques are used to help keep the infield grass edges remain in top form. 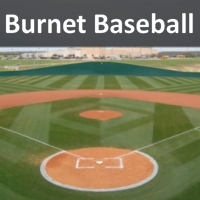 In addition to the yearly rye grass planting, the annual turf care programs customized by TMC for Burnet's baseball and softball fields include regular granular fertilizer applications, a comprehensive weed control program, and of course the frequent in-person consultation TMC provides with each and every turf program. Aside from his dedicated maintenance regimen, Galen always adds a significant amount of creativity in how he "stripes" the grass on his fields. When attending a game on any given week throughout the season, spectators are treated to a number of different visual designs on both the baseball and softball fields. While carrying out his regular mowing schedule, Galen takes the extra time and consideration to mow and roll in precise directions, creating a cool and unique visual style and pattern to his fields. "Galen Davidson has worked extremely hard to make sure our fields are in the best playing condition. He works endless hours to see to it that our fields are safe and well groomed. He takes the utmost pride in his responsibility. Galen is very conscientious and meticulous about his job." The appreciation doesn't stop there. The afternoon TMC presented Galen with the Sports Turf "MVP", several of Galen's Burnet CISD colleagues, along with a few of Galen's family members made time to attend and show their support. It's clear Galen is well respected and very much appreciated by many at Burnet CISD. "My personal approach is to have pride in my work. I keep in mind that anyone can see our fields at anytime, so I want them to always look great. A lot of what I do here is for the kids playing on these fields. I want to provide a positive environment for our teams to play." Because of his efforts, Galen Davidson fosters a significant amount of pride not only for Burnet CISD athletics, but for the entire city of Burnet as well. 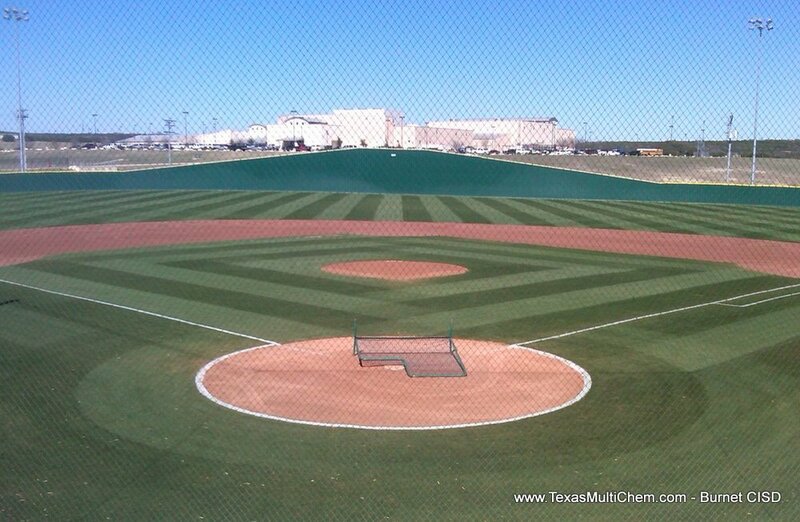 As for us here at Texas Multi-Chem, Galen is one of our favorite customers because of the passion he has for creating and maintaining high quality sports fields. TMC is very proud to have Galen (and Burnet CISD) as a customer, partner, and friend. We are honored to present him with the TMC Sports Turf "MVP" award for Spring 2011. Congratulations Galen! Keep up the great work!